DAVIDsTEA Inc (DTEA) Earnings Call. Up for Sale? I would now like to turn the call over to Ms. Nathalie Rolland of DAVIDsTEA. Please go ahead. Thank you. Good afternoon, everyone. With me on the call is Joel Silver, President and Chief Executive Officer; and Howard Tafler, Chief Financial Officer. Before we get started, I would like to remind you of the company’s Safe Harbor language, which I’m sure you’re all familiar with. This presentation includes forward-looking statements about our expectations for the performance of our business in the coming quarter and year. Each forward-looking statement contained in this presentation is subject to risks and uncertainties that could cause actual results to differ materially from those projected in such statements. Additional information regarding these factors appears under the heading, Risk Factors, in our 10-Q that will be found with the Securities and Exchange Commission subsequent to this call and will be available at www.sec.gov and on our website. The forward-looking statements in this discussion speak only as of today’s date, and we undertake no obligation to update or revise any of these statements. If any non-IFRS financial measure is used on this call, a presentation of the most directly comparable IFRS financial measure to this non-IFRS financial measure will be provided as supplemental financial information in our press release. Today, we announced that the Board of Directors of DAVIDsTEA have decided to explore strategic alternatives in order to enhance shareholder value. This process will include the evaluation of strategic alternatives to maximize the company’s value which may include a sale or other transaction. The strategic alternative that the Board of Directors may consider include, but are not limited to: a potential financing; refinancing; restructuring; merger; acquisition; joint venture; divestiture or disposition of some or all of the company’s assets outside of the ordinary course of business. As you will understand, we will answer no questions regarding this process. Now I would like to turn the call over to Joel Silver, President and Chief Executive Officer of DAVIDsTEA. Thank you, Nathalie. Good afternoon, everyone, and thank you for joining us today. First, before I address the results, I would like to congratulate Howard for officially being named Chief Financial Officer. Over the years, Howard has proven his solid understanding of our company and industry in recent months in his interim role and has interacted really well with the investment community. We are most pleased that he will now serve the company in the official capacity of CFO. During the quarter, we onboarded our new head of merchandising and our new head of product development. Over the quarter, we have been focused on creating a cohesive team to face our near-term challenges and our long-term growth objective. We are disappointed with our third quarter results, which came in below anticipated sales and profitability. The decline in same-store sales of 6.8% reflect several factors, including continued challenges with our accessories and kits assortment. The latter can be explained by a product offering which did not excite the customer and which we are currently working diligently to improve. Unfortunately, we are still living with some of the past decisions, and our new product team will be able to cast greater influence on our business with each passing season. We know we must do better, and we can. On a more macro basis, we recognize that we faced some headwinds from the unreasonably warm weather in some key markets and from the Teavana exiting Canadian and U.S. markets with aggressive promotional activities. On a more positive note, our tea business was the best-performing product category during the quarter. We continue to be a leader in the industry with our innovative and creative product offering of high-quality straight and blended teas. In addition, our e-commerce business has continued its strong growth during the quarter. We are on track with the launch of our new e-commerce platform for early 2018. While we are reinforcing our executive team, we’re also looking at the other side of the equation. We have eliminated some positions with a view to rationalizing our costs and streamlining levels within our reporting structure. We continue to pride ourselves with how important it is for our customer to have the best DAVIDsTEA customer experience. And the company was recently — this was recently confirmed by our customers. I am proud to say that the recent Leger study — survey of the consumer experience highly ranked DAVIDsTEA in the specialty boutiques category. We are #1 in Ontario and third in Québec, with scores of over 90% in customer satisfaction. We are cognizant that the future of retailing depends on the overall customer experience, and we continue to have high marks in that aspect. We must continue to build on that, and I congratulate our staff for their keen efforts in attaining this enviable score. In conclusion, we are currently working on the necessary initiatives to improve the performance of DAVIDsTEA network on both sides of the border. Our new product leadership is focused on driving improvement in our business, and their impact will increasingly be felt over the upcoming quarters. We remained confident in the strength of the brand, our network and in our capacity to improve profitability. We are taking necessary measures to improve the performance of DAVIDsTEA. We have implemented a cost rationalization program aimed at rightsizing the organization. And in early 2018, we will launch a new and most — more robust e-commerce platform, which represents a multimillion-dollar investment. We are now focused on the all-important holiday fourth quarter. Our emphasis is on maximizing the opportunities over the next several weeks leading up Christmas, as they are key to the overall performance of the quarter. At the same time, we remain focused on reviewing all aspects of the company, and we are fully committed to creating shareholder value. On behalf of management, I thank our shareholders for your patience. I’ll now turn the call over to Howard for a more detailed review of our second quarter financial analysis and then return with some final comments. Thank you, Joel, and good afternoon, everyone. I would like to thank the management and Board of Directors of DAVIDsTEA for their confidence in appointing me CFO. I’ll begin my remarks with a review of our fiscal 2017 third quarter results. As a reminder, the dollar amounts referred to when reviewing our results are in Canadian dollars. Sales decreased by 2.5% to $43 million in the third quarter from $44.1 million a year ago. We ended the quarter with 236 stores, an increase of 11 net new stores versus 225 stores last year. During the quarter, there were 3 new store openings and 3 store closures in the U.S. The third quarter comparable sales decreased by 6.8% versus a 0.8% comp increase last year as we continue to face a more challenging overall consumer retail backdrop and challenges with our accessory and kit product assortment. Gross profit decreased 10.2% to $18.4 million from $20.5 million last year. Gross profits as a percentage of sales decreased to 42.7% from 46.6% a year ago, primarily due to the planned clearance of seasonal products early in the quarter, additional promotional activity during the quarter and deleveraging of fixed cost due to the negative 6.8% comp sales this year. Adjusted SG&A in the third quarter increased to $24.4 million from $23.7 million a year ago, due primarily to the hiring additional staff to support the growth of the company, including new stores and higher store operating expenses, considering 11 additional stores. As a percentage of sales, adjusted SG&A increased to 56.7% from 53.7% last year, attributed to deleveraging fixed cost due to the negative 6.8% comparable sales this quarter. Adjusted results from operating activities for the third quarter decreased to a loss of $6 million compared to a loss of $3.2 million last year. As a result, adjusted net loss was $4.5 million or $0.17 per fully diluted share as compared to a net loss of $2.4 million or $0.10 per fully diluted share a year ago. Adjusted EBITDA was negative $2.9 million compared to $0.1 million. In the third quarter, we incurred a $2.7 million impairment charge due to underperforming stores and a $1.1 million executive separation charge related to the departure of our former executives. As of quarter end, ending inventory was $37.3 million compared to $42.8 million for the same period last year. On a per-store basis, inventory decreased 17%, as our planned seasonal clearance activity and more focused buying enabled us to return to a more normal level of inventory, including carryover. In terms of liquidity, we ended the quarter with $36.9 million in cash or a net cash position of $1.43 on a per share basis with no debt and availability of $20 million under our revolving credit facility. We are prudently managing our cash and balance sheet. Regarding our outlook, as this is a reset year, we won’t be providing quarterly and annual guidance at this time. However, we are slightly modifying the 2017 limited outlook commentary that was provided in Q2 related to our CapEx for the year, which will be between $13 million and $15 million instead of $15 million and $18 million. Also as stated in Q2, we expect to be free cash flow positive for the year. With that, I’ll turn the call back over to Joel for some final remarks before we open the call to your questions. Thank you, Howard. Armed with our survey results conducted this past summer, we’re actively to solidify and implement key strategic initiatives to positively impact our results. We are focused on improving the profitability of the Canadian store network, which represents about 80% of our total sales. We’re implementing our plan that encompasses e-commerce investments and various merchandising initiatives. The U.S. business remains a work in progress. We will consider closing nonperforming stores as well as consider selective store growth opportunities. 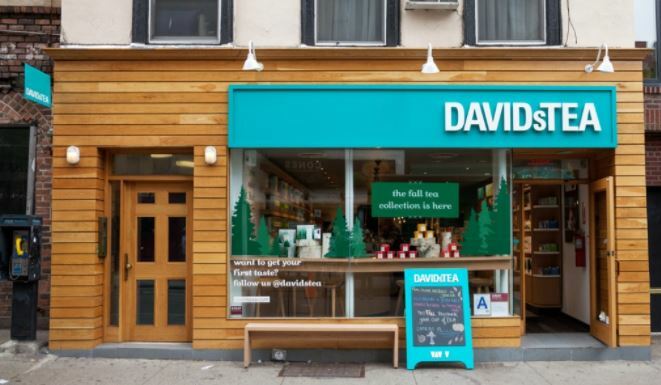 Our overriding objective is to make the tea core experience better for our customers and ensure DAVIDsTEA continues to set the bar as leaders in the tea industry, and as such, enhance shareholder value. DAVIDsTEA has an exceptionally talented team of devoted people. I thank each of them for their commitment and contribution. It is reassuring to have this excellent support, and I know that together, we will continue to work very hard to improve our performance. I will now ask the operator to open the lines for questions. (Operator Instructions) Your first question is from Kelly Bania from BMO Capital. I guess, maybe just to start with the strategic alternatives. Can you just talk a little bit about what some of the different paths could entail? What may be realistic to expect if you kind of pursue that? As I — and this is Nathalie Rolland, Corporate Secretary for DAVIDsTEA. As I mentioned earlier, we are very early in the process. So at this point, it’s not possible for us to further any more — to comment any further. And as we said already in the announcement, it could take many form. And so we’re really in the early process. Okay. Can you talk a little bit just candidly about what’s happening in stores versus online? You’re talking about a multimillion dollar investment online. Is online still growing? And as you look at stores, how many are — how many do you think need to be closed? Yes. So this is Joel. Online, we still got double-digit growth out of online, which is great. Our multimillion dollar investment is behind the Demandware implementation which we launch in Q1 of next year, which that project is still on track. We have been investing. As I kind of came in, we really accelerated that investment, and really, the team has done a good job at sort of getting behind it. I think we’re also be looking to launch Amazon marketplace post the launch of our site. So we just — we see great opportunity there. The fundamental economics of our business are great, online as well, too, just in terms of the dollar amount that we ship, our average order size and the weight and shipping that we pay. So I think we have a fantastic online business with a ton of room to grow. As for the store closures, I think it’s — we don’t have a specific objective. We’re just — we’ll continue to kind of prune our portfolio in Canada, which is generally super healthy. And then the U.S., we’ll also look for opportunities to exit portfolio that doesn’t make sense anymore for us. And I think you mentioned a couple of hires, but I think it also says here there’s still some positions that you need to fill. Can you just kind of walk us through what’s remaining to fill and what kind of time line you’re looking at? Yes, we have filled a head of product development, which we talked about last time, which is fantastic. So we’ve got a product development group that’s really coming up with all kinds of — everything from thinking about the new tea blends as well as helping us do innovation on the hard goods and accessories. We’ve also hired a head merchant who has kind of come in and really owns the — both the inventory side of the business as well as all the final decisions on product and is really sort of wrapping their heads around the business, which is amazing. As we mentioned before, every quarter, that team is able to affect more and more the assortment, which is going to be a key driver of our business. We also have — obviously Howard’s been — really filled the role in an amazing way on the CFO side. We’ve also hired a head of HR, who’s also been here for a couple of months. And so Lori Braun is really — she’s really helping me and the team as well to really improve our performance as well. The last open hire we have is really around e-commerce fleet. So we’re working hard to kind of fill that as well, too. And we should had that done before the site launches. (Operator Instructions) The next question is from Lorraine Hutchinson with Bank of America Merrill Lynch. This is Stephen Albert on for Lorraine. I was hoping you could give us some sense for where your business is running quarter-to-date in terms of comps relative to 3Q? Is it relatively in line? Have you seen any sort of improvement? Or things have gotten worse? I know the commentary from a lot of retailers is that recent trends have improved some, but I wanted to see how you guys were. Yes, we don’t — I mean, we’re not really commenting at this point on the inter-quarter trends because we’ve done some calendar shifts where we’ve moved some of our activities to later in the holiday season. So it would — sort of wouldn’t be apples-to-apples at this point in time. Okay. And I think you mentioned the calendar shift period — the last quarter from 3Q to 4Q. Any way you could quantify the dollar amount that may be weighed on 3Q? No. And I’m not going to comment specifically on the 1 promotional activity. Okay. And I guess, margins. How should we think about gross margins in fourth quarter relative to year-to-date trends? No, I think it’s sort of, more or less, sort see it similar, in-line. And sort of in terms of the impact of foreign exchange and cost of product, it’s more or less in line. And it’s really dependent on our sales volume. We’re sort of — we’ve been impacted at the gross profit level from our deleveraging of fixed cost because the negative comps. But sort of all the other expenses are more or less in line with other quarters. And I know it’s maybe a little preliminary in the process, but how much in the way do you estimate you may have located in terms of cost reductions? In terms of cost — I’m sorry, could you repeat the question? The cost reductions? Like, any way to quantify how much you think you’ve located or anticipate to locate? In terms of going forward or during — currently during the quarter? Yes. No. We’ve sort of identified certain areas, certainly, labor opportunities and cost savings at the product level. We’re currently evaluating and going through the process. So we’ve identified some, but we’re not, at this point, prepared to sort of final — come up with a final number. And that was our last question at this time. I will turn the call back over to the presenters. Thank you for joining u this afternoon. I look forward to continue to update you on our progress. And I also take this opportunity to wish you and your family a joyous holiday season and don’t forget to leave Santa a hot cup of DAVIDsTEA. Next articleWhy Boston Beer (SAM) Stock Surged. Zacks.